No one likes to spend their day driving around town, searching for a used truck that checks off all the boxes on their list of needs and wants. One dealership may have the right truck but not the right price, while another may have low prices but miss the mark on brand, model, or mileage. You need to find the one destination that gets it all right. 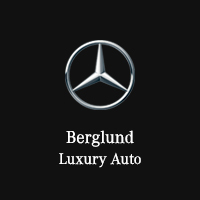 Lucky for you, we have the answer: Mercedes-Benz of Lynchburg. Now, you might not think of a dealership with “luxury” in its name to be a huge supplier of used trucks, but our commitment to serving customers with a variety of needs and a range of budget constraints, spurs us to include high-quality truck models among our extensive inventory of pre-owned vehicles. At any given time, you may find used truck models on our lot from some of the biggest names in trucks—Chevrolet, RAM, Ford, GMC—ranging from tough and rugged workhorses to feature-loaded, family-friendly pickups with luxury-grade interiors. Our competitively priced inventory is dynamic and ever-changing, so when you explore our pre-owned vehicles online, make sure you contact Mercedes-Benz of Lynchburg when you see the perfect used truck, or anything else you may be interested from our lot. We appreciate all customer feedback and will do whatever we can to make sure that we’re meeting your needs. While you’re on our website, you can get a head start on the financing process by filling out an online credit application, get a quick estimate of how much your trade-in is worth, and estimate how much the monthly payments will be on the truck you’re interested in. When you get to our conveniently located dealership, you’ll be ready to drive right in to the fun part – test driving to make your final selection. Why Purchase Your Used Truck from Mercedes-Benz of Lynchburg? At Mercedes-Benz of Lynchburg, you’ll find helpful sales associates and financing experts whose primary goal is to help you get the vehicle you want at the best possible price. Making our customers happy – with our service, our selection, and our prices – is the best way we know to ensure that they will remain our customers for life. Even after the sale, our customers can count on us for top-of-the-line maintenance and repair in our service department, as well as tires, parts, and accessories to keep your vehicle in prime condition. Even if you’re shopping for a pre-owned truck rather than, say, a luxury sedan, we think you’ll be happy you decided to explore the pre-owned inventory at Mercedes-Benz of Lynchburg. Visit us today and see what we have to offer.